OVERERVIEW: Drug overdose deaths are on the rise nationally and are the third leading cause of injury-related death in Montana, accounting for 1,334 deaths between 2003 and 2014. Since 2000, the rate of prescription drug overdose deaths has doubled, with more than 700 deaths from prescription opioid overdose alone. 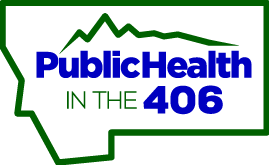 For every 100 Montanans, there are 83 painkiller prescriptions written annually in the state.